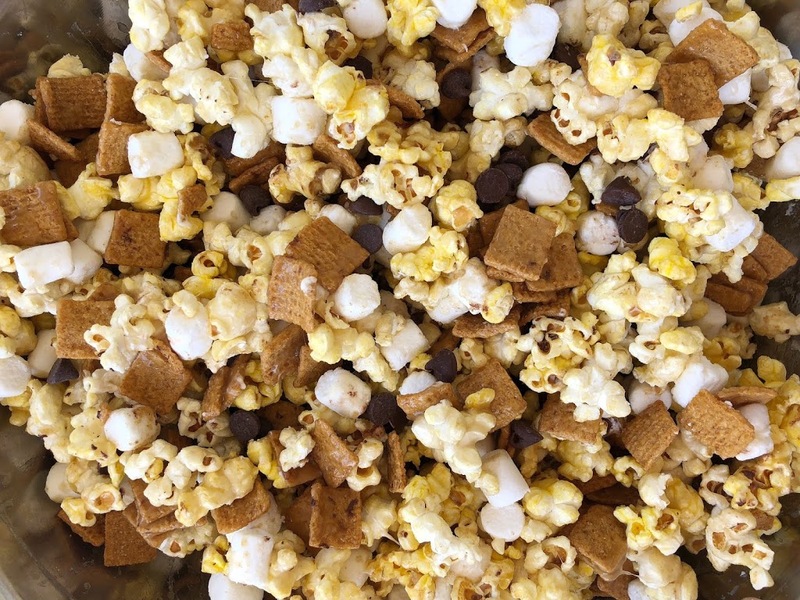 The BEST S'mores Loaded Popcorn - Made It. Ate It. Loved It. This popcorn is fully loaded! 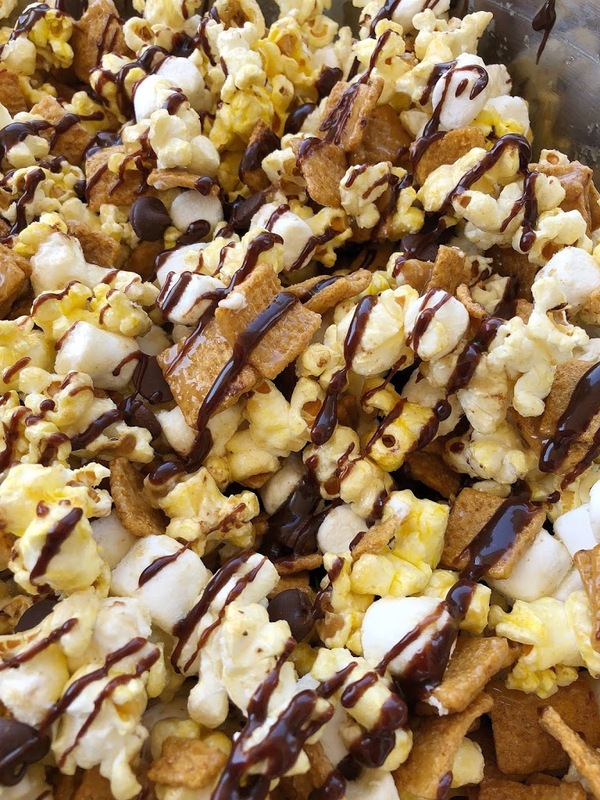 It is a mixture of caramel corn plus grahams, marshmallows and chocolate! It is the perfect combo in my opinion! I was really craving some type of treat! Something that I could literally sit in front of the TV with and just munch on! And when I left the movie theatre the day before I decided to ask for my refill right then and there! And it was the best decision I made that day. Because when it came to it I was really glad that I had that popcorn to make this delicious treat! In a bowl add the popcorn and golden graham cereal. Then in a saucepan over medium heat add the butter, karo and sugar. Stir really well and bring to a rolling boil for a few minutes. Then remove from the heat. Add in the vanilla. Then pour over the popcorn and cereal mixture. Mix well. Then pour in the marshmallows. Mix again very well. Then sprinkle on the chocolate chips. And fold in. Drizzle with melted chocolate chips if you would like! Then serve!